Hi there, everyone! My name is Marine Freibrun. Elementary school teacher, mom, wife, and blogger! 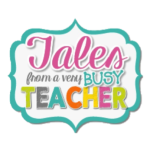 I am the author of Tales from a Very Busy Teacher. 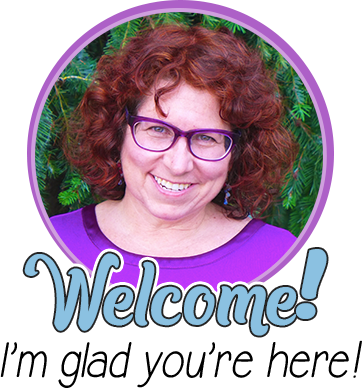 I am so honored and excited to be writing a guest post for Minds in Bloom today! I am sharing TEN positive behavior management tips for the primary classroom with you today. 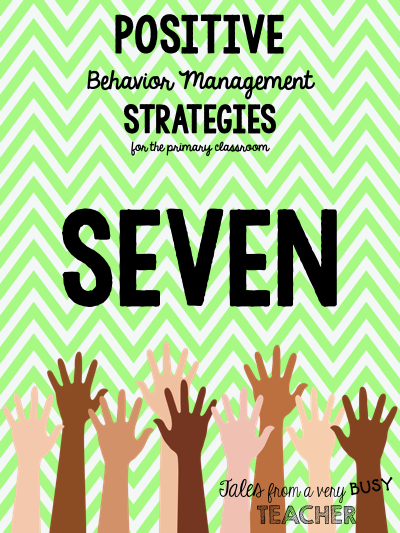 Classroom/behavior management is one of the most important things to master in your classroom. 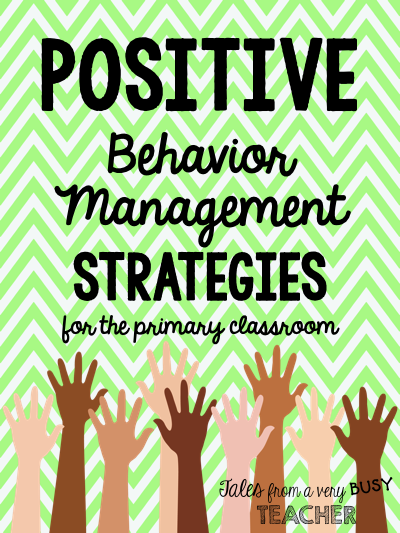 Having solid behavior management helps maintain a positive classroom environment while enabling teachers and students to accomplish LEARNING! The way you start your day is the most important factor of having a good day! Even if you have had a rough start at home, hit traffic on your way to work, or forgot your morning cup of coffee, you shouldn’t let those little blunders ruin the day for your students. They come to school, in most cases, looking forward to seeing their teachers and friends. So, to start the day off right, I greet my students at the door! I love, love, love, shaking my students’ hands at the door as they come into the classroom. I always start the day by having my kiddos form two lines. I grab their attention and wait for listening ears. I let them know what they’re expected to do when they enter the classroom (put things away, morning work, etc.). 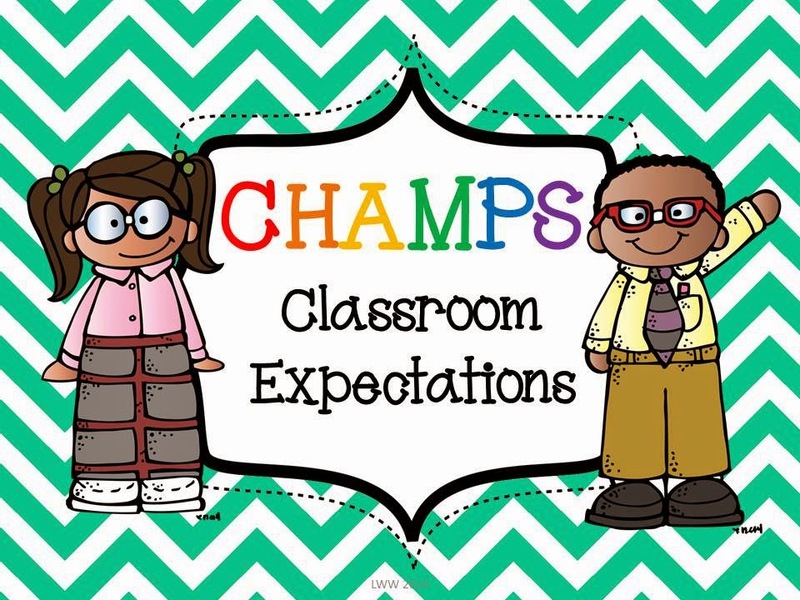 After checking for understanding and getting feedback from my kiddos on what my expectations are, I greet each student as they go through the door. It can be a handshake, hug, high five, or fist bump. I always say, “Good morning,” and I try to find something to say to each student as they enter. For example, if a student has a new hair style, I make sure to notice. If another student got new shoes, I make sure to compliment. The list goes on and on. I just try to personalize their greeting and make sure they know I care and that it’s going to be a great day! Brain breaks are a great way to enhance student engagement and to keep students on their toes throughout the day. It breaks things up, and it creates some blood flow for the brain! 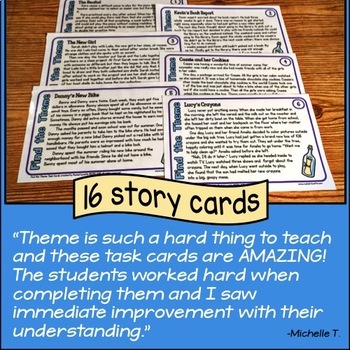 I created these brain break cards that you can cut out and glue to some popsicle sticks. 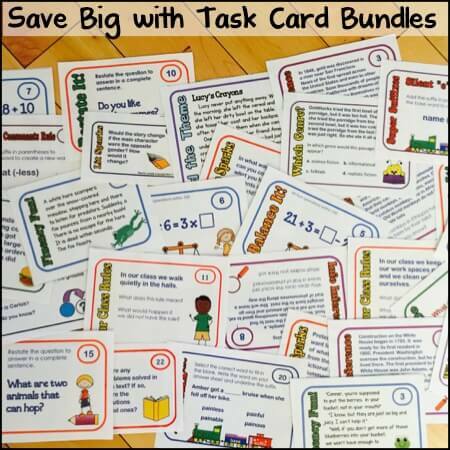 When you and your kiddos are in need of a break, pull out a card and complete the task! These breaks help get students movin’ and groovin’. As teachers we are aware of our lessons, and we notice that our students may need to get up and change pace. 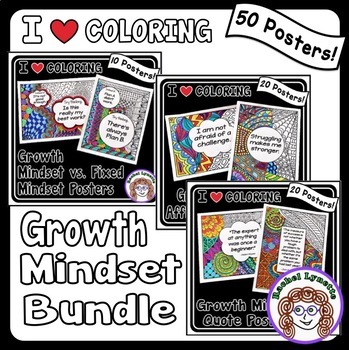 Using brain breaks are a great way to get that change of pace. 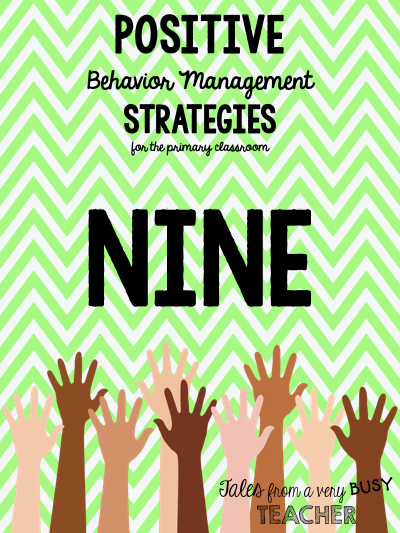 Displaying students’ negative behavior for the whole class to see is kind of a pet peeve of mine. When I was in Kindergarten, my teacher would always put a happy face and a sad face on the board. Of course, my name was ALWAYS on the happy face board. Well, one day this classmate of mine decided he wanted to kiss me on the cheek. He was definitely not a boy that I wanted to kiss! LOL! So, when he kissed me, I screamed. My name then went on the sad face board. I WAS HORRIFIED. It scarred me for life. Obviously, I am now in my thirties and am still upset over this tragic event. When I became a teacher, I told myself I would never let this happen to my students. 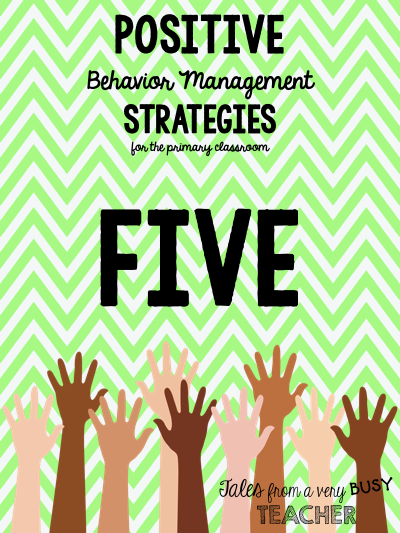 In my first year teaching, I decided I was not going to use any type of behavior system that would call my students out. I quickly learned that not having anything in place would be a disaster. I used a lot of positive reinforcement, but I didn’t have any consequences for unacceptable behavior. I decided it was time to move on and try a behavior chart. 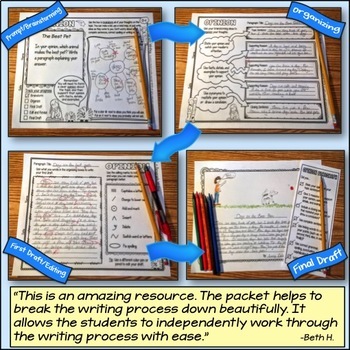 I found a lot on TpT and really liked the fact that these charts had a lot of positive factors that students could strive to reach. Using these charts proved to be a huge success. My favorite part was getting students to reach the blue or purple section of the chart. Everyone else tried so hard to get there too. Students who made it to the “top of the chart” received a special little card that acknowledged their accomplishment for that day. I even let those students choose a stuffed animal from our class library. The stuffed animal they chose would be with them the whole day at their desks, learning with them! I rarely had students go below the green section of the behavior chart. Plus, I always made sure that students didn’t end on yellow, orange, or red. They always had the opportunity to get back to green or higher. I really enjoy using a class marble jar as a whole-class behavior incentive. It’s easy, fairly inexpensive, and gets the point across very well. Just get a large jar at Walmart, Target, or the Dollar Tree. While you’re there, pick up a couple bags of marbles. As your class behaves well, add marbles to the jar. Once the jar is full, they’ll receive a class prize: free recess, pizza party, movie, Friday free time, etc. The only recommendation I make when using the marble jar: Don’t take the marbles out if the class has done something bad! The marbles in the jar are marbles the class has already earned; therefore, they should not be taken away as a consequence. 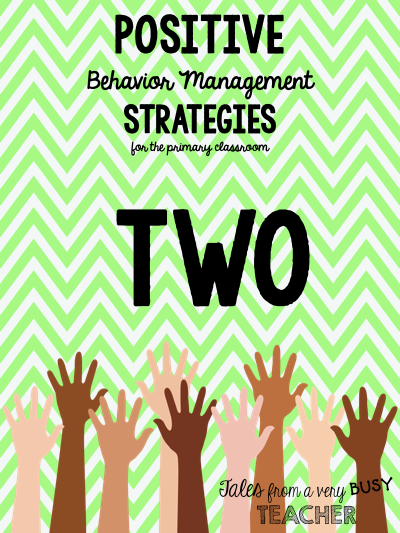 The class should receive other consequences that fit the bad behavior. I love these! I used to have a pretty awesome treasure box with pretty awesome prizes. I would buy a bunch of things at the Dollar Tree and fill my treasure box. 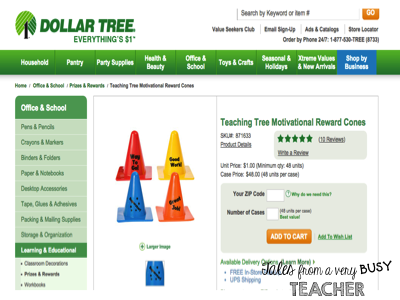 Soon, the DOLLAR tree became the HUNDRED DOLLAR tree! I couldn’t afford to continuously by prizes for my treasure box. Then, I stumbled upon these beauties…prize box tickets! There are quite a handful on Pinterest. 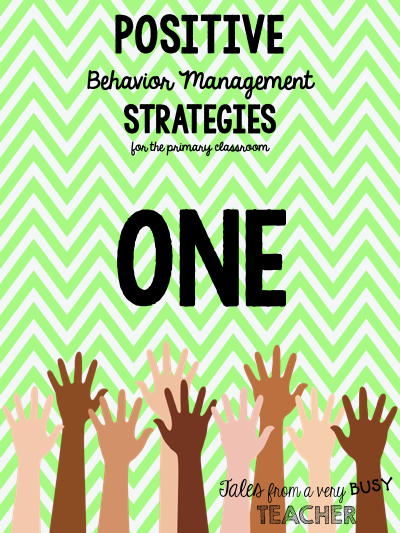 You can pick and choose the ones you want your students to have to choose from. THEY ARE A HIT! I also think the best part is that they’re FREE! 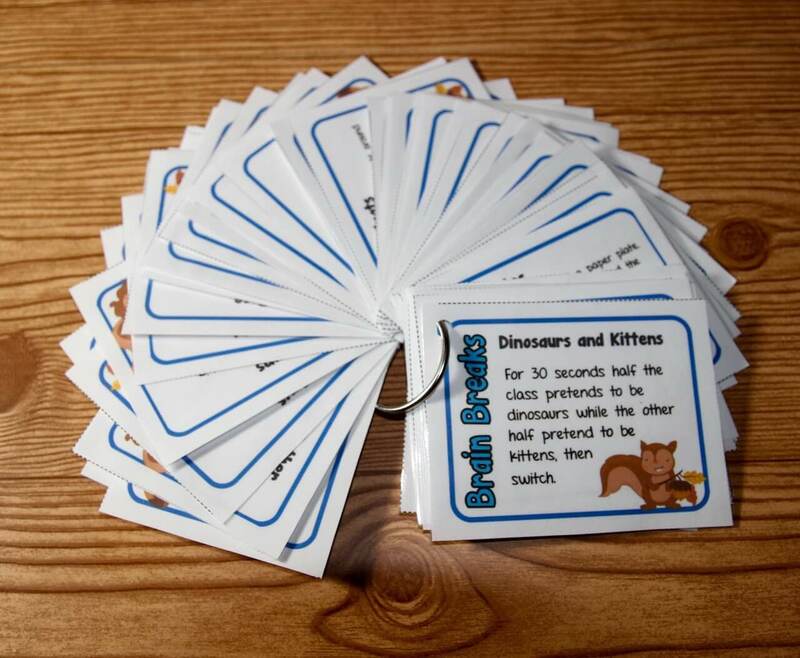 Students will love these prize box tickets as a behavior incentive. They’ll be doing all they can to get a trip to that treasure box. This is a cute one! And…it’s FREE and SIMPLE! All you have to do is draw a big heart somewhere on your whiteboard. 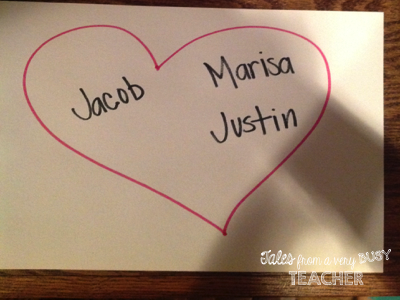 You can even laminate a large construction paper heart and hang it on a wall in your classroom. Throughout the day, add students’ names to your heart! These can be students that are sitting nicely, listening to directions, being polite, etc. Immediately, all of the other students would sit quietly, calmly, and be ready to learn. I would continue to ask students to come up and write their names in my heart, too. My kiddos LOVE it. Some days I would try to get all their names in my heart. But, I would always make sure I got all of my students in my heart throughout the week, especially those students who struggle to make good choices. Sometimes all they need is LOVE! 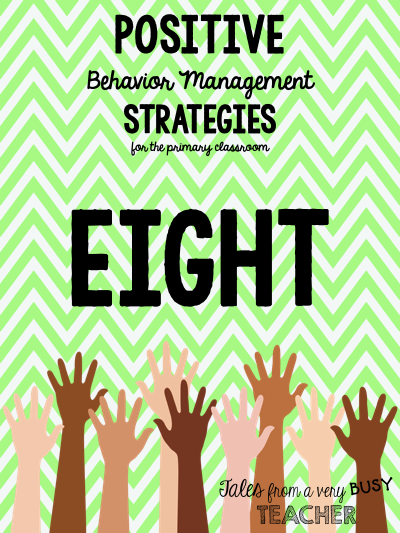 This one works well if you have your classroom divided into groups. 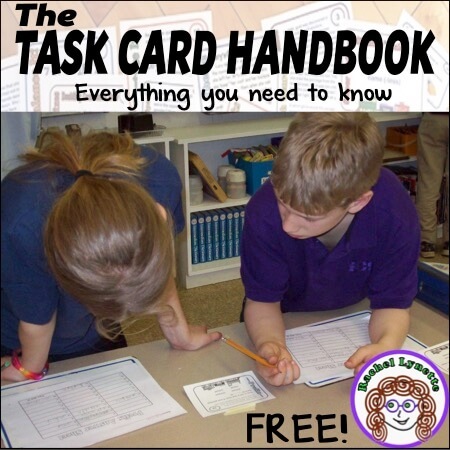 Just assign names to each “table” of students. Write those names on the board. I would usually name my tables with numbers. Each time a table or team is sitting nicely, following directions, being polite, and all that good stuff…add points to their team. The team that wins at the end of the week gets to go to the treasure box to pick a fun prize box card! I also feel that taking away table points is completely unfair, similar to that of taking away marbles. There should definitely be another type of consequence. 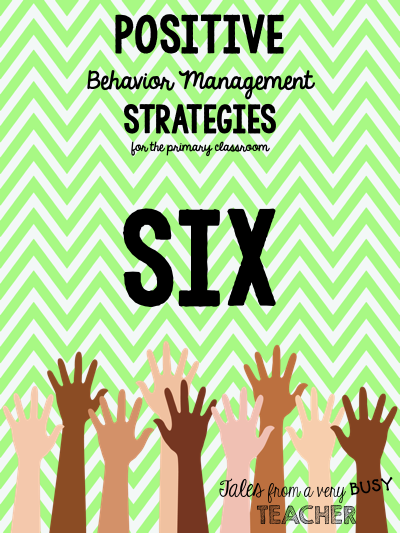 There were other phrases I would use in my favor to gain the class’ attention and promote positive behavior. 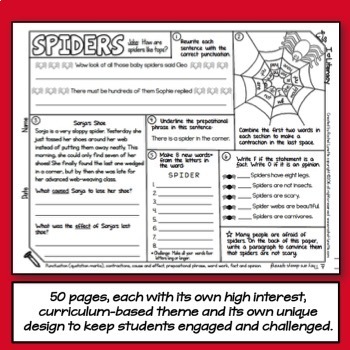 You can grab some of my Student of the Day papers here. I would let my students put these cones on their desks if they were Student of the Day from the day before. They could have the cone all day on their desks to show how proud they were of their good behavior. 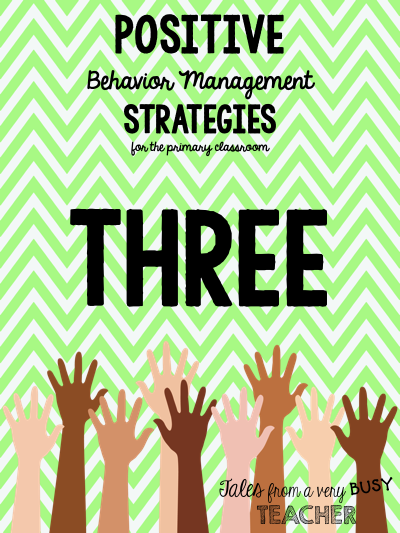 Sometimes I would bend the rules a little bit and just hand out cones to students who were behaving well. I didn’t do that too often because I didn’t want to take away from the importance of the Student of the Day. I guess you just gotta go with the flow of the class! This one is easy and doesn’t require any downloading! Be HAPPY! SMILE! And be POSITIVE! 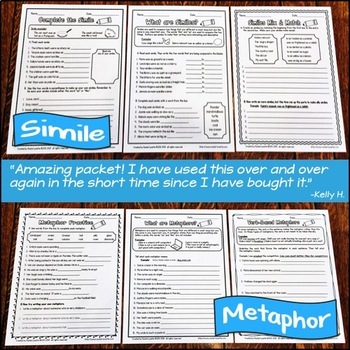 Your kiddos will thank you for it! There’s nothing like having a happy, smiley teacher to greet you and help you every day. Students spend the day with their teacher at school. Why not make it a happy day? 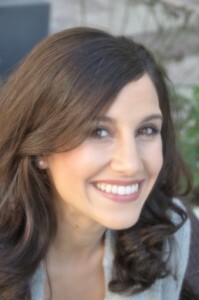 My name is Marine Freibrun, and I am an elementary school teacher in Southern California. I earned my BA from UC Irvine, my teaching credential from CSU Bakersfield, and my MA in Educational Leadership from CSU Northridge. I have taught 2nd, 3rd, and 6th grade, but I actually began my teaching career as an 8th grade teacher. I am staying home this school year to be with my first baby, Jacob. 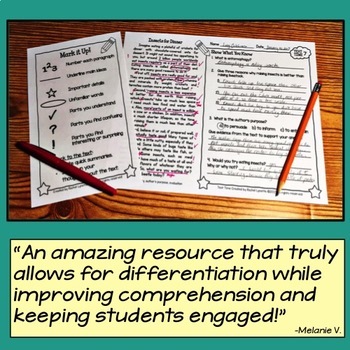 I love teaching and sharing educational ideas! 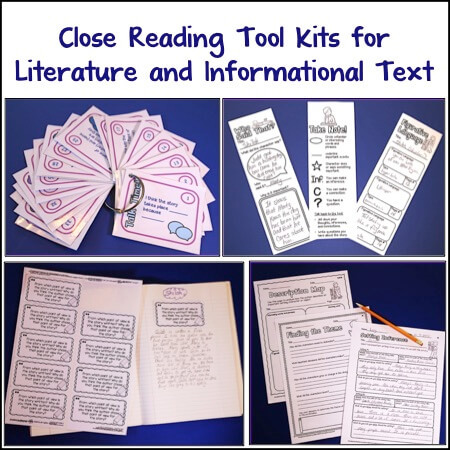 Check out my blog and TpT store! I love this post! 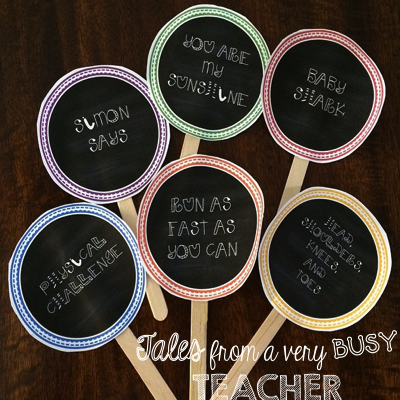 I am going to use some of these ideas with my preschool son. Thanks!